The free online weekly reading program from Seattle Pacific University’s Center for Biblical and Theological Education allows you to explore God’s Word, beginning in Genesis, with the guidance of outstanding biblical scholars who have a deeply personal Christian faith. You can read the Lectio, listen to a podcast, or both at spu.edu/lectio. 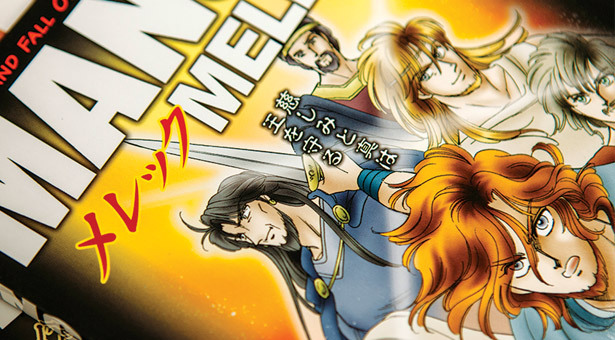 The stories told in Next Manga include three volumes of Old Testament stories and two of New Testament stories, spanning from Genesis to Paul's missionary journeys in Acts. You might know The Avengers. You might have heard of The Fantastic Four. Now imagine Manga Force: a band of superheroes who powerfully illuminate the Bible’s greatest stories for readers in any language and any culture. It’s not a comic book; it’s a true story. In Japan, “manga” — or 漫画 — means “comic.” Developed in the late 19th century, manga has grown to represent one third of all printed material sold in Japan in the last 50 years; over 120 million copies of approximately 70,000 manga serials are purchased there each month, spanning genres from science fiction to romance. And manga’s popularity now spans the globe. 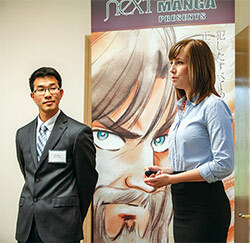 For 10 years, Next Manga — a nonprofit publishing company, has carried out the vision of manga enthusiasts who saw the potential of a vibrant, multivolume series of manga-style Bible stories. That vision is soaring: Next Manga has been translated into 27 languages so far, sending more than 3 million graphic novels and more than 4 million booklets into circulation around the world. The volumes bring the Bible’s compelling narratives to people who may never have opened a Bible. “Many things commonly referenced in the marketplace or the courtroom have their origins in the Bible,” says P. Scott Cummins, Next Manga’s director of business development and its chief marketing officer. Even Bible scholars may find that stories from Scripture seem fresh and new in these five volumes filled with dramatic illustrations: Noah’s ark seems small as a twig carried away on a frightening tide of destruction, while the Holy Spirit arrives in a thrilling rush of flames. Recently, the Next Manga team has decided to expand their distribution of these volumes in the general marketplace, where a voracious manga audience can discover them. That’s where four students in Seattle Pacific’s MA in management with an emphasis in social and sustainable management (MAM-SSM) came in. Abraham Wairisal, Juliana Garcia ’13, Vy- Hoa Le ’13, and Lauren Cosgrove ’13 worked with Cummins to outline what he calls “Next Manga’s global relaunch.” They’re already working with advisors in Los Angeles and Chicago, a finance and marketing team in Seattle, principals in Tokyo and Hong Kong, and media partners in Sydney.